Envision a river accessible to all and a community that actively embraces this river ethic and welcomes its role as the Mississippi River’s steward for current and future generations. We believe all of us are accountable for the health of the Mississippi River, its creatures and the communities that live along its banks and rely upon its waters. We believe our society must meet the needs of the present without compromising the ability of future generations to meet their own needs. Through thoughtful and decisive action, we inspire and engage others to protect the Mississippi River. We cannot succeed alone. We work with others because our outcomes are better and more lasting when driven by strong and diverse partnerships. We do what is right for the Mississippi River. Our decisions and actions are clearly and proudly aligned with our mission and values. We pursue our mission with professionalism, bringing to bear deep understanding, creativity and technical proficiency. The natural, scenic, cultural, historical, recreational and public values of the Mississippi River corridor are understood, protected, enhanced and celebrated by local communities working in partnership with FMR. Goal: Mississippi River Corridor Critical Area (MRRCA) rules, plans and ordinances are clear, consistent and enforced. Goal: Economic and park development in the corridor is sensitive to the river’s unique natural and cultural resources, and the decision process recognizes community input. Goal: The Above the Falls vision for continuous parks and trails along the river north of downtown Minneapolis is realized, creating improved and equitable river access from surrounding neighborhoods and economic development that enhances the public realm. Goal: The ecological impact of invasive carp is minimized within the Mississippi National River & Recreation Area (MNRRA). 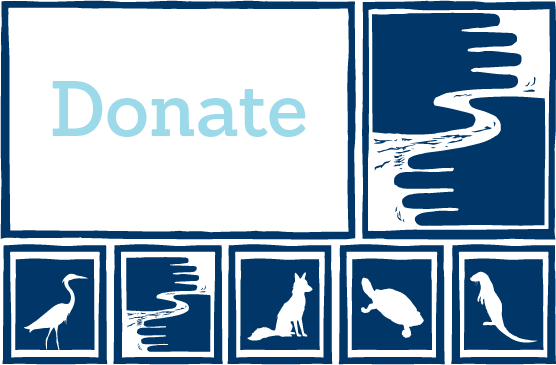 • Support funding requests from the Minnesota Department of Natural Resources and University of Minnesota to implement state action plans, conduct research, etc. An ecologically functioning corridor of natural habitat exists along the Mississippi River and important tributaries. Goal: Land that is important to the river’s ecosystem is protected in perpetuity. Goal: Critical ecological functions of the land managed by FMR are restored. Goal: FMR’s restoration work is rooted in science and designed to have the greatest possible ecological impact. Goal: The Mississippi River benefits from and serve as a strong pollinator corridor. The Mississippi River meets all water quality standards and fully supports a healthy aquatic ecosystem. Goal: State-level Clean Water Act administration is strong. Goal: State legislative outcomes reflect FMR’s priorities. Goal: FMR's water program effectively changes the water quality narrative and builds grassroots support for clean water. Goal: FMR implements projects that demonstrate the potential for meeting water quality standards at the watershed scale. • Explore statewide education and awareness campaign built on the economic and environmental case for perennial / continuous living cover cropping systems. Individuals and communities feel a connection to the Mississippi River and its watershed that inspires an ethic of active participation in stewardship and conservation. Goals: FMR annually engages 4,000-5,000 people in stewardship events and outings to learn about the river and meaningfully contribute to protecting and enhancing river resources. Goal: Participants and volunteers are prepared and eager to participate in more events and activities, share their experiences with others, and make river-positive behavior changes in their personal lives, homes and yards. FMR positively influences decisions that are being made that affect the Mississippi River by bringing to bear good information and a strong, diverse and well-informed network of activists. Goal: FMR activates an informed and engaged network of advocates, and maintains the staff and technical capacity to organize and mobilize them to participate in important decisions that affect the Mississippi River. People in Minnesota, especially in the Twin Cities metropolitan area, value and respect the Mississippi River. They are well informed about FMR’s work and about the ways they can protect, restore and enhance the river. Goal: FMR strategically and effectively communicates with key audiences about the river’s importance and the organization’s work, inspiring the actions needed to protect it. Goal: FMR’s position as the “go-to” organization for the media, policymakers and others who wish to protect the river is heightened. A wide range of people, reflective of our increasingly diverse community, is engaged with the river and active with FMR as Board, staff and volunteers. Goal: FMR programs engage diverse communities in the Twin Cities to effectively address the needs of the River. • Engage diverse communities directly impacted by FMR’s key programmatic activities and priorities. Goal: FMR’s Board and staff are inclusive of the cultural and racial diversity of our community. A new generation of river stewards is inspired and prepared to protect and restore the health of the Mississippi River. Goal: Youth are engaged in activities that empower them to positively impact their communities, develop their leadership skills and inspire a life-long commitment to steward the river. FMR maintains a sustainable, diverse and flexible resource base to fuel the creativity, pace and agility with which we pursue our mission. • Develop opportunities to more deeply engage leadership donors, including but not limited to serving on a committee, participating in a focus group, etc. Goal: FMR doubles its membership in three years, growing its base of reliable, annual support. Goal: Grow Mississippi River Legacy Society (MRLS) membership to 25 members by 2020, ensuring sustaining support for our mission. • Develop a system for identifying, cultivating, soliciting and recognizing MRLS prospects. • Develop meaningful recognition opportunities and compelling MRLS materials to share with prospective members, local community foundations and professionals who work in the estate planning sector. Goal: Institutional giving grows at a pace that meets the demand of our expanding programs. Friends of the Mississippi River is a great place to work – we recruit extraordinary talent, cultivate a supportive and flexible working environment, value individual and organizational ambitions, and achieve excellence. Goal: Friends of the Mississippi River attracts and retains dedicated, creative and qualified staff.